Justin Martinez/MDN Bishop Ryan sophomore Logan Merck throws a pitch during the Lions’ 13-3 win over Rugby on Tuesday at Corbett Field. The third time was finally the charm for the Rugby Panthers. 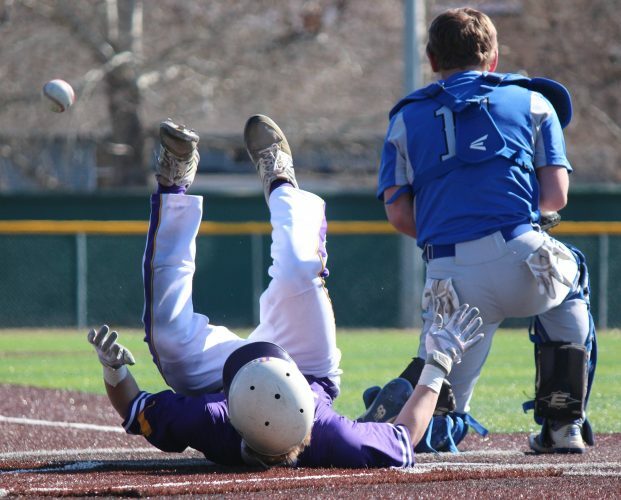 Not much seemed to have changed since the Bishop Ryan baseball team earned a 13-3 mercy-rule win over Rugby on Saturday, as the Lions repeated history on Tuesday with a 13-3 win over the Panthers at Corbett Field in the first game of a doubleheader. But Rugby exacted its revenge in the second game of the afternoon behind some stellar pitching and a few timely hits to secure an 8-4 victory and force a split on the day. Ryan put the Panthers in an early chokehold during the first game thanks to a two-headed monster of Kersey Harris at the plate and Logan Merck on the mound. With runners on second and third in the bottom of the first inning, Harris got the day started with a powerful swing of the bat. The junior connected on a pitch from Rugby’s Shayden Luna, sent a shot to midfield and watched it drop for an RBI double. 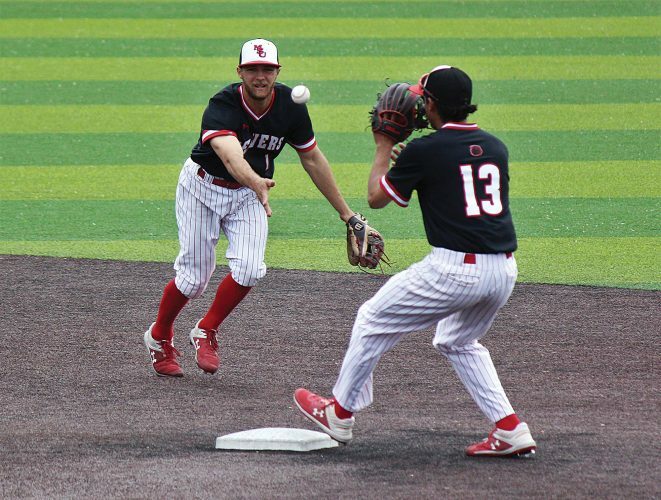 Seth Roedocker kept the momentum going two at-bats later with a line drive to left field that brought in another two runs and made it a 3-0 contest. Rugby got out of the inning shortly afterwards, sending Merck to the mound. The sophomore soon found himself in a jam, as Rugby scored a run and had its eye on doing more damage with the bases loaded and two outs. With Rugby’s Jordan Stone at the plate, Merck sent a bullet of a fastball in his direction. The junior watched as it zipped past him for Merck’s fourth strikeout to get out of the inning. Harris struck again in the bottom of the second inning. With runners on the corners, the junior unleashed a booming hit to left field to bring both of his teammates home and make it a 6-1 contest. The Lions never looked back, as senior Hunter Johnson put the final nail in the coffin in the bottom of the fourth inning with an RBI single to push the lead to 13-3 and force a mercy rule. Merck finished with six strikeouts in three innings pitched, while Harris stayed hot at the plate with four RBIs and three runs on 3-for-4 hitting. Ryan recorded 18 hits to Rugby’s six. 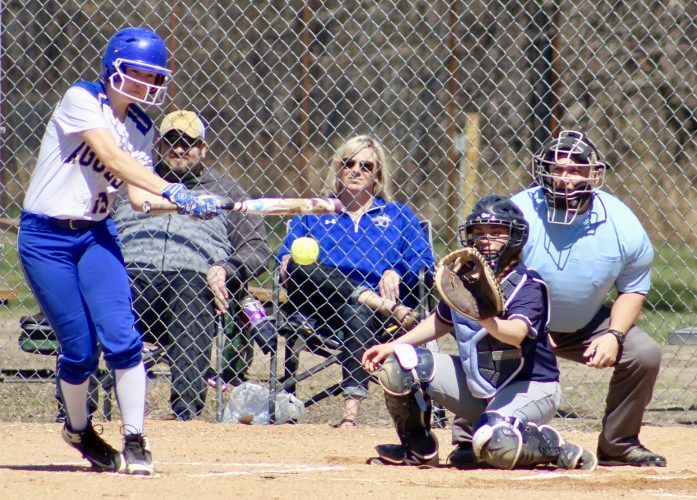 But the Panthers regrouped during the break and came back swinging in the second game, as they put up two runs on Roedocker in the top of the first inning. Now leading 2-1 in the top of the third inning, Luna went for the fences with a deep shot to left field. 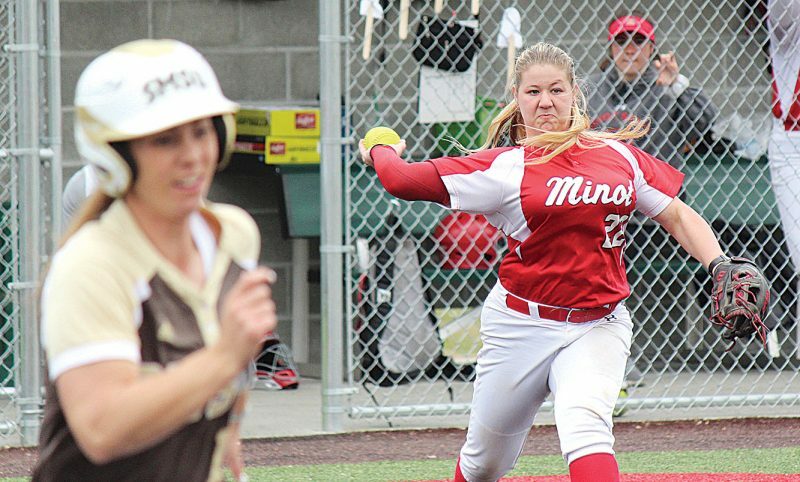 The ball fell short of a homer, but the senior still rounded the bases for an RBI triple. Junior Kelby Gingerich brought his teammate home on the next at-bat with an RBI single to midfield to make it a 4-1 game. Meanwhile, Cy Luna kept the Lions tamed on the mound. The sophomore ace preserved a no-hitter through the first three innings, and the Panthers’ offense capitalized to take a 6-1 lead heading into the bottom of the fourth. Finally, Ryan’s bats came alive. None other than Harris himself sparked the comeback, as the junior hit an RBI double to right field. Ryan then added two more runs to its total off a pair of sacrifice flies to trim Rugby’s lead to 6-4 entering the fifth and final inning. The two-run deficit proved to be as close as the Lions would get. 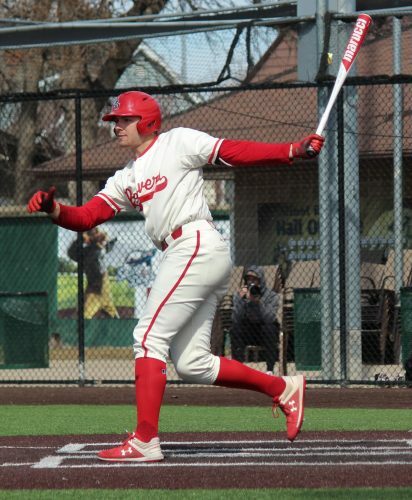 Cy Luna pushed the lead to 7-4 with an RBI single to right field in the top of the fifth inning, and Rugby ultimately entered the bottom of the frame with a comfortable 8-4 lead. Ryan couldn’t get out of the hole, and its late comeback fell short in an 8-4 loss. 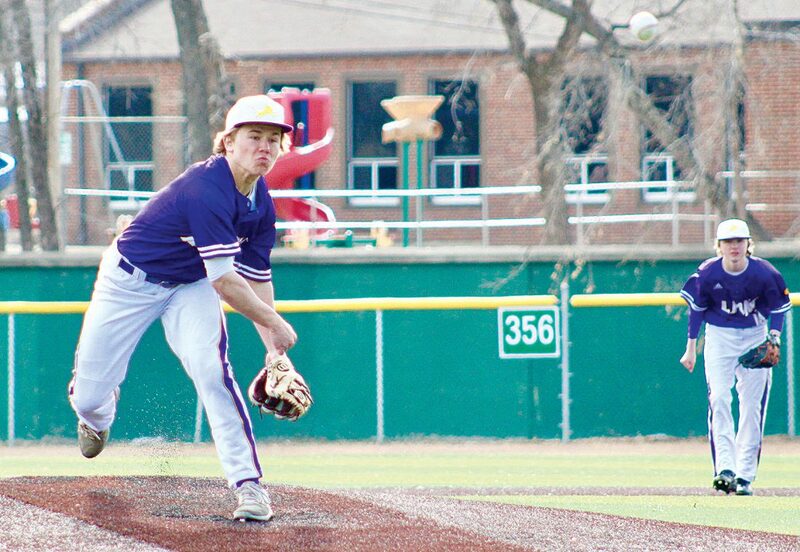 Gingerich finished with three RBIs and one run on 3-for-3 hitting, while eighth-grader Brody Schniebel closed out the game on the mound to preserve the win for Luna. Despite the loss, the Lions will try to build off the late scores as they prepare for a home game against Surrey/ORCS on Thursday at Corbett Field. First pitch is scheduled for 4 p.m.